Achieve reliable results for protein, nucleic acid, and subcellular-sized particle separation and characterization. NETA Scientific supplies a wide range of electrophoresis equipment including electrotransfer systems, blot incubation equipment, capillary blotting supplies, gel electroeluters, gel imaging systems, transilluminators, and vacuum blotters for mixture separation of DNA, RNA, and proteins based on their sizes. 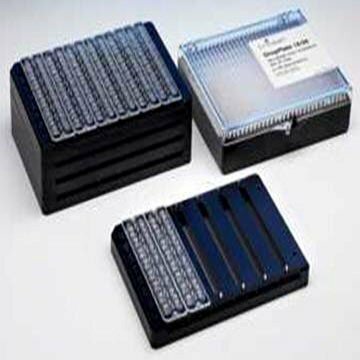 Select electrophoresis system components and accessories from well-known brands.